Leadership | Shannon & Luchs Insurance Agency, Inc. Most insurance agencies are either too small to leverage favorable terms for their clients or too large to provide truly personalized service. At Shannon & Luchs, we strike a balance between the collective power of our customers and the ability to manage their individual insurance needs on a day-to-day basis. For over a century, as the business and family assets of our clients have passed from one generation to the next, we’ve maintained customer loyalty by providing affordable, comprehensive and unique insurance solutions. Dorian is a principal and owner of Shannon and Luchs where she has served as President since 1999. In this capacity she oversees the general management and operations of the firm and is committed to providing superior customer service. Her primary focus is to create a positive customer and employee experience. She knows that being a strong client advocate is the best insurance protection that a business can have. 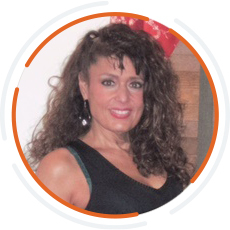 Dorian has a distinct combination of leadership and insurance expertise which enables her to provide unique consultative approaches to a diverse clientele—many of which are business owners themselves. She understands the challenges that they face in a very competitive and ever changing environment. As a native Washingtonian, she is especially attuned to the needs of this community. Dorian graduated from the University of Maryland with a Bachelor of Science degree in Business and Management with an emphasis in Marketing. She holds both Property & Casualty and Life & Health insurance licenses, is a member of the National Association of Health Underwriters (NAHU) and the Independent Insurance Agents and Brokers of America, Inc. (IIABA). She is also actively involved in several local and national organizations supporting business owners. Prior to joining Shannon and Luchs, Dorian honed her insurance skills in a local aviation insurance company where she learned from the bottom up to manage and cultivate relationships with aviation clients. She brought those skills to S&L and managed an exclusive Air Meet Liability Program for which S&L is still nationally known for today. Shortly thereafter, Dorian established, directed and grew S&L’s Employee Benefits department, which after 25 years continues to provide a wide range of unique and innovative solutions to our clients. Jim is Executive Vice President and Chief Financial Officer for Shannon and Luchs (S&L) Insurance Agency. He has spent his entire career in the insurance field where he is known for his expertise and love for the industry. 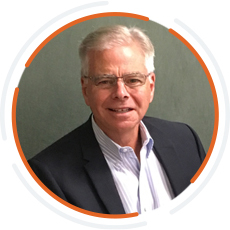 As a Principal of the Agency since 1993, Jim is active in the management of the agency with a key objective – to serve S&L’s diverse client base. Jim is personally involved with his customers focusing on their Property & Casualty needs. He oversees and manages their insurance accounts by providing direct hands-on coverage analysis and risk management advice in support of their business objectives. He is committed to meeting their needs and will go the extra mile to ensure that they are taken care of. Jim is a licensed Property & Casualty (P&C)/ Life & Health agent, a P&C Broker and Advisor in the State of Maryland, and a Non-Resident Licensed Agent in all other States. Jim is a lifetime resident of the Washington Metropolitan Area. He holds a Bachelor’s degree in Education from the University of Maryland, and a Chartered Property &Casualty Underwriter (CPCU) professional designation. He is a past President of the Metropolitan Washington Independent Insurance Agents Association and currently serves as a board member for the Association’s Service Corporation. Jim also served as the scholarship chairperson for the CPCU District of Columbia Chapter for many years. He is an active member of the Montgomery Village Rotary Club, serving as Vice President and “Flags for Our Heroes” charity committee member. Jennifer Zak is an Assistant Vice President of Shannon and Luchs where she provides day-to-day management of administrative operations. She started with S&L in 2001 as office manager, but soon took on other tasks vital to the agency’s growth and success, including serving as Director of its National Airmeet Liability Special Event Program, an exclusive program that S&L has offered to the airshow industry for over 40 years. As a longtime member of the International Council of Airshows (ICAS) and the Aviation Insurance Association (AIA), Jennifer is regarded as a top insurance expert by the aviation community. She began her insurance career with New England Life Insurance Company shortly after graduating from State University of New York at Cortland where she earned her degree in 1998. 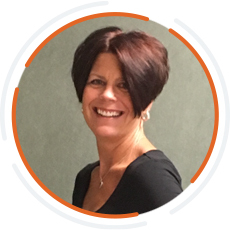 Jennifer excelled in her position and was given an opportunity to relocate to the Washington Metropolitan area to assist in running the operations of one of their branch offices supporting New England Life career insurance agents. Jennifer is committed to delivering superior customer service by providing clients with innovative and solutions-oriented advice.